I wanted to share some creations today made with the December Sampler Kit. The kit was beautiful, one of my favorites. 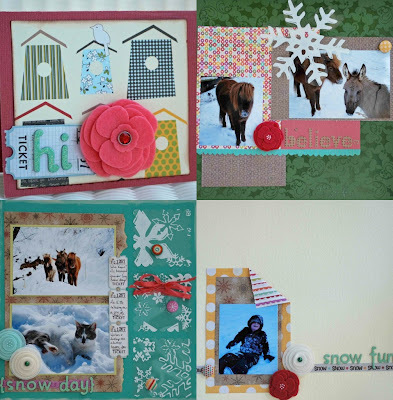 I love the cool wintery colors and embellishments. Isn't it just darling? Each month The Sampler has another great kit full of the latest and greatest trendy products. It's also cheap! The best of both worlds! 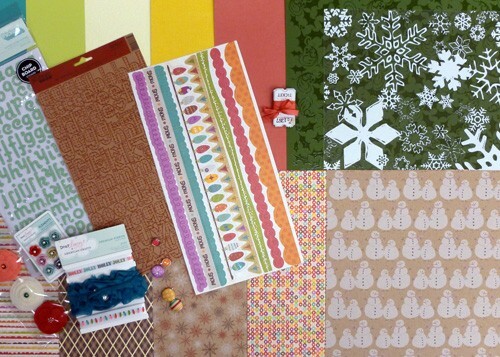 Check out The Sampler kit for January - A Bright New Year - still available at Scrapbooking Supplies R Us. 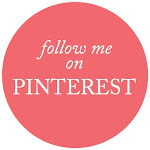 I had so many things to share, I decided to make a collage, for free! Thanks Picnik! Greatest place in the world for editing photos. Beeeeautiful!!! I love the big flower and that card is so cute. Love the LO also.